LISBON, Portugal - November 6, 2008 - Cisco today announced a $100 million global strategic initiative focused on Small Business Networking and communications solutions for companies with fewer than 100 employees. Cisco aims to help small businesses gain greater agility and efficiency in working with customers who are increasingly expecting to do business on the move, on the Internet and via video. A new Cisco® Small Business Technology Group (SBTG) will develop technologies focused on six areas consistently highlighted as top priorities by small businesses for enabling business growth: connectivity, security, remote access, productivity, customer interaction and customer support. The SBTG is part of a companywide initiative composed of sales, marketing, services and technology groups that will focus solely on the small-business segment. The creation of the Cisco Small Business Technology Group and Cisco Small Business portfolio are part of a new 360-degree focus on small businesses with fewer than 100 employees. The initiative includes a dedicated sales unit, marketing programs, and customized service and support, for which a new worldwide contact center operation is a central pillar. The Cisco Small Business Technology Group will develop strategy and facilitate collaboration across Cisco's existing business units to create solutions for businesses with 100 to 250 employees. Senior Vice President Ian Pennell will lead the group. All new small-business offerings will be named 'Cisco Small Business' or 'Cisco Small Business Pro', with 'Pro' solutions designed for customers with more sophisticated technology needs. The first Cisco Small Business products are scheduled to be available in December and will be focused on video surveillance, data storage and wireless office communications. Cisco values the total addressable market for small-business networking and communications products and services at $16 billion in 2009, with $10 billion of this value derived from companies with fewer than 100 employees. Small Business Support Center. Dedicated contact center operations in South Carolina, the Philippines, China and sites in Europe will provide small-business customers with technical assistance and expertise around the clock and support customers in Dutch, French, German, Spanish, English, Italian, Russian, Polish, Korean, Mandarin, Portuguese and Arabic. Small Business Support Community. Modeled on the Cisco Learning Network, this online community is a new collaborative space for partners and customers to share their knowledge and expertise on small-business networking and communications. New Cisco Small Business Web site at www.cisco.com/smallbusiness. The new site features new tools powered by Cisco WebEx® that enable customers to find and chat live with local sales partners who can assist in customizing, installing and supporting solutions. Cisco Vice President Andrew Sage will lead a new global small-business sales unit dedicated to supporting Cisco partners that focus on small businesses. Following the August 2008 unification of Cisco and Linksys partner programs the number of Cisco partners able to support small businesses totals almost 60,000. Included in this number are more than 9,000 partners in the Cisco Select Certification Program for small-business specialists. The newly created Cisco Small Business Council will oversee Cisco's small-business strategy. The Council is co-led by Sue Bostrom, chief marketing officer and executive vice president; Keith Goodwin, senior vice president of worldwide channels; and Ian Pennell, senior vice president of the Small Business Technology Group. "Small businesses are the lifeblood of today's economy and in today's environment, it's critical that small-business owners have a technology partner they trust to help them find and deploy the right solutions to grow their businesses. 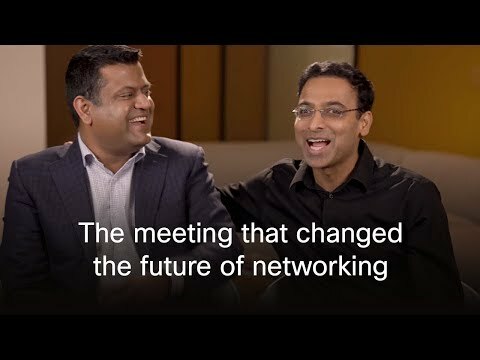 With the widest range of solutions, from value-driven point products to expandable and upgradeable solutions to grow on, Cisco can meet any small business' communications needs." "The No. 1 priority for small-business owners is growing their companies, not becoming technology experts. Small businesses learn about and implement technology in very different ways than do large enterprises. In recognition, Cisco has transformed the way we communicate with small-business customers with a customized SMB-specific Website and marketing campaigns that focus increasingly on business capabilities and benefits of complete solutions rather than on products and technologies." "Small businesses have very specific needs in virtually every aspect of how Cisco does business with them. Taking a 'one size fits all' approach that might work in other markets simply won't work with small business. That's why we have more than 9,000 Select Certified sales partners that can help create tailored solutions for small businesses worldwide, making it easy to find the right technology for your unique business needs." 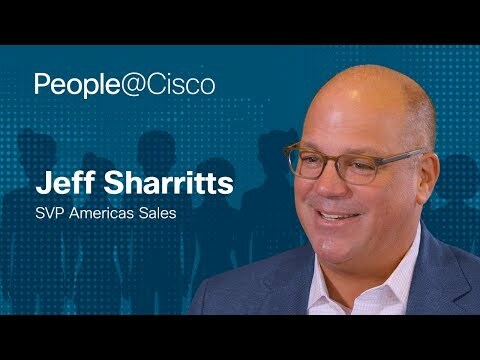 Ian Pennell, SVP, Cisco Small Business technology group, discusses how the technology needs of small businesses vary from those of larger enterprises. Andrew Sage, VP, Cisco Small Business sales, discusses the crucial role Cisco partners will play in advancing the company's new small business strategy.